Unless you consider yourself a cleaning connoisseur, chances are that you never look forward to laundry day. In fact, we’re guessing you resent the mundane process of sorting, drying, and folding to the point that you’ll shove as many articles of clothing in the machine and set the dial to cold just to get it all over with. While this rushed approach might free up time, you aren’t doing your clothes any justice. Sure, they might smell clean and feel crisp, but the real question is: Are they hygienically up to par? Going beyond the known bounds of sorting by lights and darks, we asked a handful of cleaning experts to weigh in on the piles you’re probably not thinking about but should be. 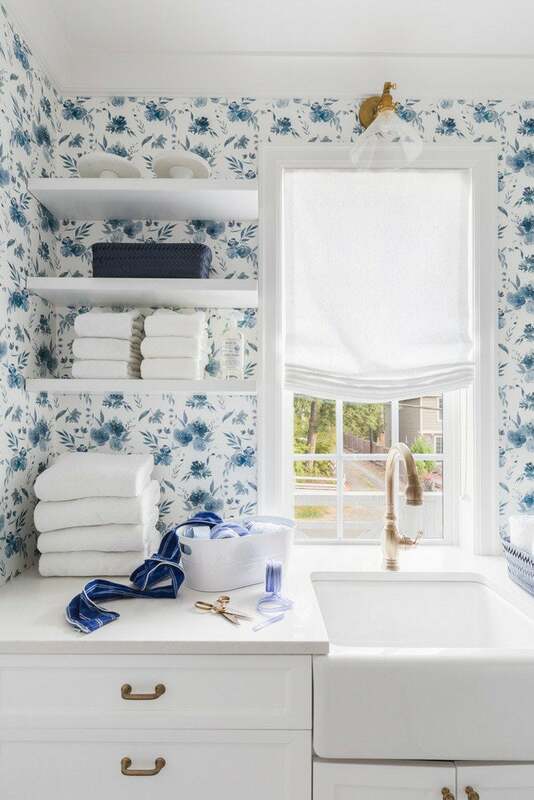 “Because of varying times and temperatures, the laundry room isn’t the place to mix and match fabric,” says Suzanne Holmes, manager of the product evaluation laboratory at Cotton Incorporated. The most common laundry mistake Holmes sees people make is not checking the tag and following the wash instructions accordingly. “The label is your best source to know the ‘ingredients’ of your clothing and how to care for them,” she adds. While this sorting strategy can be applied to all categories and fabric types, it’s particularly important if you want to give your gym clothes a good wash. “I separate gym clothes from other clothes. I find that the fibers that are in gym clothes get clean better when they’re washed together,” shared Becky Rapinchuk, the cleaning expert and blogger behind Clean Mama. Sorting by color is the oldest laundry rule in the book and for good reason. When it comes to your whites, this is one commandment you shouldn’t ignore for convenience sake. Not only will keeping your whites together make them crisper and brighter, but you’ll be able to turn up the heat—and kill lingering bacteria in the process. Rapinchuk’s tip for getting the most out of an all-white load? “I wash whites together and add a scoop of oxygen brightener to each white load to keep them bright white,” she says. We get that it’s tempting to throw a single dirty towel in with a load of clothes when you’re going through the trouble of doing laundry anyway. However, it’s best to save bulkier items like towels and sheets for their own wash cycle and dry them separately (towels can produce lint in the dryer that will stick to your bedding if they’re thrown in together). For Rapinchuk, Saturdays are the perfect time to tackle heavier loads. “With everyone home from school and work, the beds get done a lot quicker and the kids will know how to change sheets by the time they leave the house,” she shares. And if you guessed that you should be washing your sheets more often than every other month, you’d be right. “It’s a good idea to wash your cotton bed sheets once every two weeks, but if you sweat when sleeping, you may want to wash sheets once per week,” explains Holmes. Can you wash cleaning rags and kitchen towels with your clothes? Sure. Should you? Probably not. Heavily-soiled items like dog towels or kitchen cloths that were used to clean up messy spills are ridden with germs you don’t want swooshing around with your delicates on cold. Instead, designate a separate cycle for your dirtiest utility towels. If you’re really in a bacteria-killing mood, there are extra measures you can take to get your fabrics (and machine!) sparkling clean.